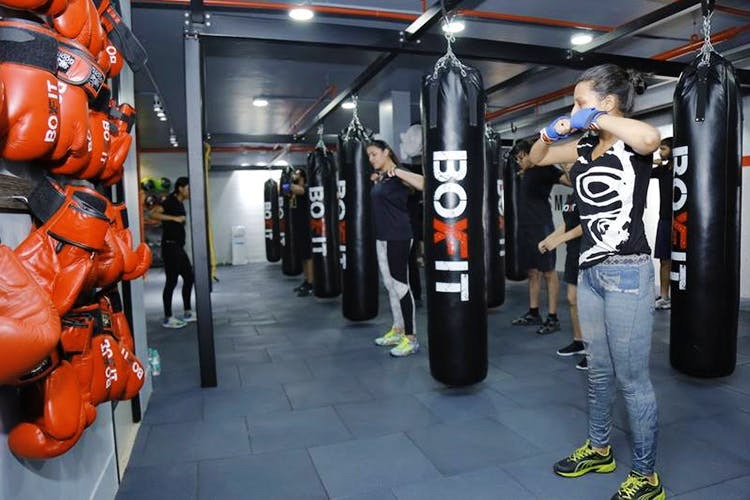 BoxFit nudges you to go a little beyond your regular fitness routine and builds on your strengths by inculcating fun workouts taken from boxing and kick-boxing routines, packaged in a 60-minute workout. As the name suggests, BoxFit goes beyond regular gym routines with heavy equipment, and their space is punctuated with punching bags and medicine balls. You have the freedom to set your own pace, making it fit for everyone looking to build some body strength. The workouts usually include high-intensity cardio focussing on good old simple calorie-burning. If you like it and want to step things up, they also have an intensive core-strengthening regime. It’s a great place to let your inhibitions go and have fun, while improving your body strength and achieving your fitness goals for the year. Their trial class is free, so check it out!